3 Beds |3 Baths | 1278 sq. ft.
1 Beds |1 Baths | 738 sq. ft.
4 Beds |1 Baths | 3140 sq. ft.
3 Beds |1 Baths | 896 sq. ft.
2 Beds |1 Baths | 876 sq. ft.
4 Beds |3 Baths | 2629 sq. ft.
4 Beds |3 Baths | 2466 sq. ft.
3 Beds |1 Baths | 925 sq. ft.
4 Beds |2.5 Baths | 2102 sq. ft.
4 Beds |1.5 Baths | 1887 sq. ft.
3 Beds |2 Baths | 1031 sq. ft.
KHC has $5 million available at a 2 percent interest rate, fixed for 30 years. This special funding program is available on a first-come, first-served basis starting Monday, August 1, 2016, with NEW reservations. Households whose gross annual income does not exceed $35,000. An existing or new construction property (purchase price limit $115,000). At least one member of the household is disabled and is receiving disability income. A single- or two-parent household with at least one dependent child under the age of 18 living in the household. Borrowers with properties located in Non-targeted counties must be a first time homebuyer — no ownership interest in the last 3 years. Borrowers with properties located in Targeted counties can be a repeat home buyer. Good news! Kentucky Mortgage holders of USDA Mortgage loans can get new drastically lower fees starts with commitments starting tomorrow October 1. If you have an USDA eligible Loan up to $417,000 with no money down in most Kentucky Counties. What is the primary benefit of an Kentucky FHA mortgage loan in 2013? How low can the down payment be? As low as 3.5% down! 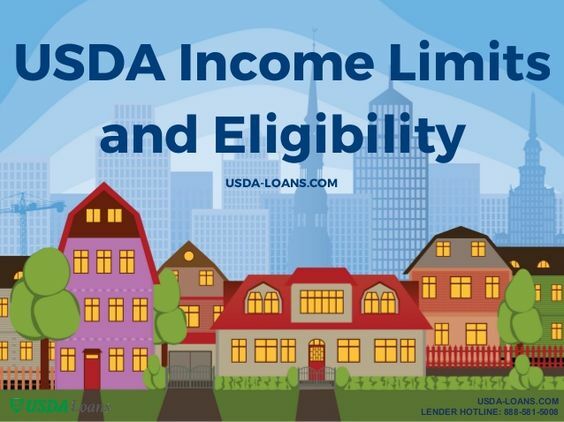 Other than a VA Loan or a USDA Loan that may have a zero down payment requirement, this is the lowest down payment mortgage program available. How low can my credit scores be? Due to near constant changes in legislation, lending requirements and related issues, the FHA credit score regulations and underwriting credit score requirements change from time to time. Currently, to get maximum financing (96.5% LTV) on typical new home purchases, applicants should have a minimum credit score of 580, but our current FHA investors require a 640 mid credit score. .
How high can my debt to income ratio be? plus all recurring monthly revolving and installment debt) is/are exceeded, the lender is required to provide justification as to why they believe the mortgage presents an acceptable risk. The ratios can be higher for certain borrowers. Only your lender can tell you for certain since many special conditions apply. Again, this is why it pays to shop multiple lenders. Why do I need FHA mortgage insurance? include mortgage insurance primarily for borrowers making a down payment of less than 20 percent. This is similar to the requirements for conventional loan borrowers with respect to Private Mortgage Insurance (PMI). SF forward streamline refinance transactions that are refinancing FHA loans endorsed on or before May 31, 2009, the Annual MIP will be 55 bps, regardless of the base loan amount and takes effect on or after June 11th, 2012. For mortgages with terms 15 years and less and with Loan to Value ratios 90 percent and greater, annual premiums will be canceled when the Loan to Value ratio reaches 78 percent regardless of the amount of time the mortgagor has paid the premiums. For mortgages with terms more than 15 years, the annual mortgage insurance premiums will be canceled when the Loan to Value ratio reaches 78 percent, provided the mortgagor has paid the annual premium for at least 5 years. Mortgages with terms 15 years and less and with loan to value ratios of 89.99 percent and less will not be charged annual mortgage insurance premiums.